The modern struggle of urban African-Americans has been ripe for cinematic adaptation, particularly after Spike Lee's emergence in the 1980s. Other black filmmakers followed his lead, notably John Singleton with his Oscar-nominated film "Boyz n the Hood". On rare occasions, non-black filmmakers have also become interested in this sub-genre. This is the case with the 1994 film "Fresh", penned and directed by Israeli-descendant Boaz Yakin, who grew up in the inner city himself. The film tells the story of a 12-year-old boy nicknamed Fresh (Sean Nelson) who lives in the projects, with a slew of cousins and his aunt. Hustling to survive, he becomes a street smart drug dealer making connections with all the major players in the game. Constantly reminded of his deadbeat father (Samuel L. Jackson) and junkie older sister, he slowly decides to seek a way out of his circumstance before it's too late. Of course, his youth limits his freedom and independence, so he needs a catalyst to achieve his desire. 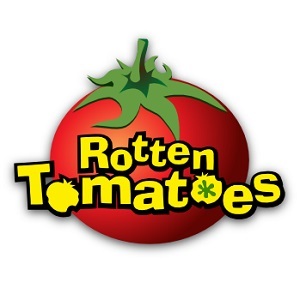 This premise is perfectly fine (though no longer fresh, excuse the pun) but it's the way it's constructed that has resulted in the "A Rotten Tomato" label rather than a "Movie of the Week". In order to arrive at the film's conclusion, the plot needs some catastrophic events. As you can expect from the drug and poverty elements, that means that people need to be killed. This is understandable, but it seems to put the film in a conundrum. The violence is inevitable, but I found that all the human sacrifice seemed harshly preordained to achieve the story's endgame. The plot is filled with random acts of malicious gun violence towards children (and helpless animals too) that just left a sour taste. As the plot trudges along I understood that it reflected reality but I also wondered, to what end? Yakin's filmmaking sensibilities aren't sophisticated enough to convey a docudrama feel (his intrusive score prevents that) and the dialogue is too on the nose to have enough potency for a "message" film. The only persons who really brought their A-games are the actors, mainly Sean Nelson, Giancarlo Esposito and Samuel L. Jackson. Even though his character (an aimless chess wiz) feels like an afterthought, Jackson brings his natural charisma to the role. Likewise, Esposito showcases his now famous ability (thanks to "Breaking Bad") to make his villains thoroughly magnetic (perhaps even more so in this instance, given the character's sexual edge). The real find however, is debut actor Sean Nelson in the title role. He projects a remarkable confidence that goes a long way in making the character seem plausible. Despite this breakout central performance and a few strong moments, I still find it hard to really warm to this film. There's just something icky about the determined nihilism, especially as it comes from the perspective of a 12-year-old. In one scene after a particularly damaging incident, Fresh's mother tells him he should have known better. In much the same way, I found myself questioning the the motives of the film's writer-director. He has a good basic premise, but his execution pales in comparison to the works of Spike Lee, John Singleton et al. I'd recommend watching "Boyz n the Hood" instead. This film is part of my Black Cinema marathon. I watched this one for a first time a few months ago... and I fully agree with you. Some splendid performances, but the movie as a whole never fully worked for me. Such a shame, right? Was really hoping this would be much better.